For the past couple weeks, I've been feeling a little vulnerable. Okay maybe more like a lot vulnerable and emotional. I feel a little over-informed, worried, anxious. The world feels scary and evil and like it's possibly ending. Pollution reports from the U.N., speculations and theories about why/how/where planes crash, devastating mudslides, teenagers climbing the new World Trade Center...it just all seems a little too much. I want to turn off every TV and not go online ever again. I want to hide, like a turtle in a shell. Or run around like a frantic chicken screaming "the sky is falling." I need sunshine (or antidepressants). I need a media break. I need to think like a four-year-old. Wade's world is pretty great. He is all about the moment. Sure he gets pissed if we are out of chocolate milk, but then Clifford comes on TV and he's happy again. The other day, a package arrived and just like a four-year-old should be, he was ecstatic about the box. 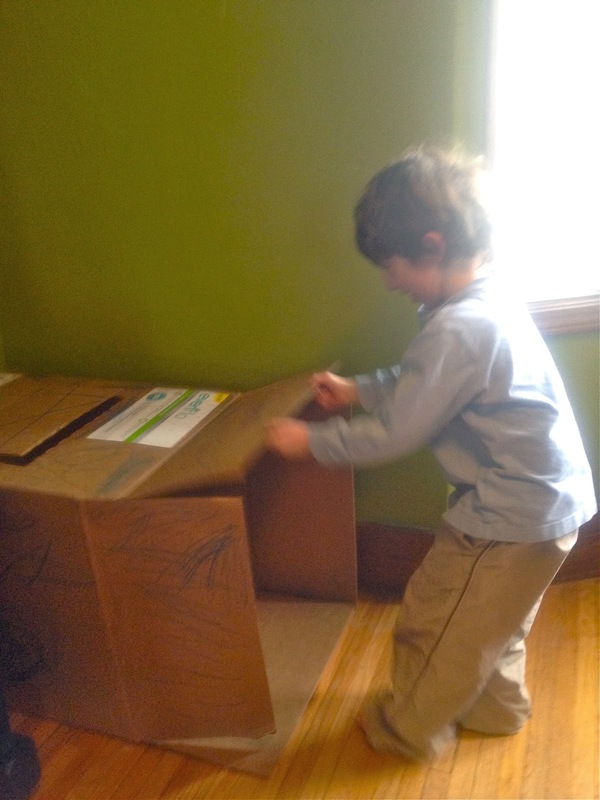 He colored the box, he pretended the box was a car and then a pirate ship. In Wade's world, it was THE BEST THING EVER. He even showed how awesome the box was to his little friend Sadie. The two of them played hide and seek for quite a while with the box. One would count, the other would hide...in the box. Over and over and over. They had so much fun. When it started snowing yesterday, my heart started racing and I was convinced that the extreme weather conditions that "will affect all human life" negatively were happening right then and there. Like we were living in some freaky real-life version of Frozen, maybe we should build a bunker or go buy batteries. 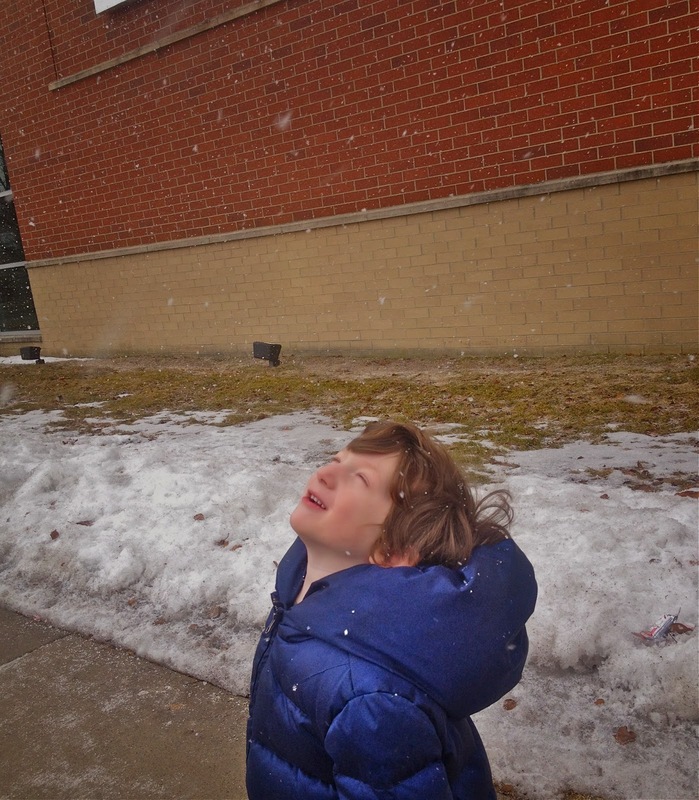 My mind was going a mile a minute and then I heard Wade say "look I can catch snowflakes on my tongue Mommy!" Even though we have lived in a frigid, snowy winter wonderland for months, he was still excited to see big fluffy snowflakes. 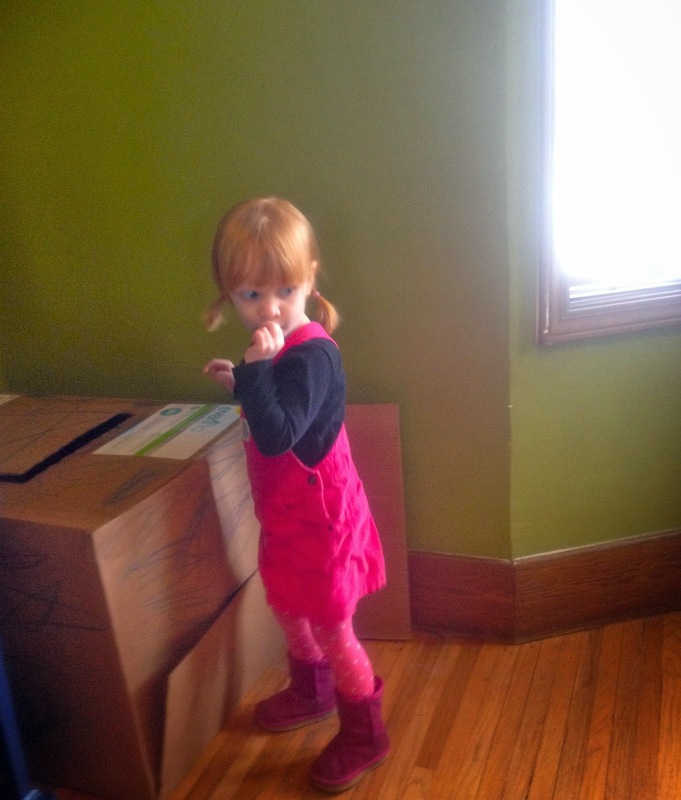 Because to a four-year-old, snowflakes and boxes are all kinds of awesome. Wade's world is about possibility and fun and what's that and look over there and wow and right now. I took a deep breath, took a picture and then stood with my head to the sky, and my tongue out hoping to catch a snowflake. Hoping to let go of some of my anxiety and remember the possibility and the fun and the what's that and the look over there and the wow and the magic of right now. oh kids do remind us to be fun and innocent again if only for a moment. Snowflakes are the best; my girls were catching them today as well and giggling frantically. It was wonderful! Kids enjoying both indoor and outdoor. 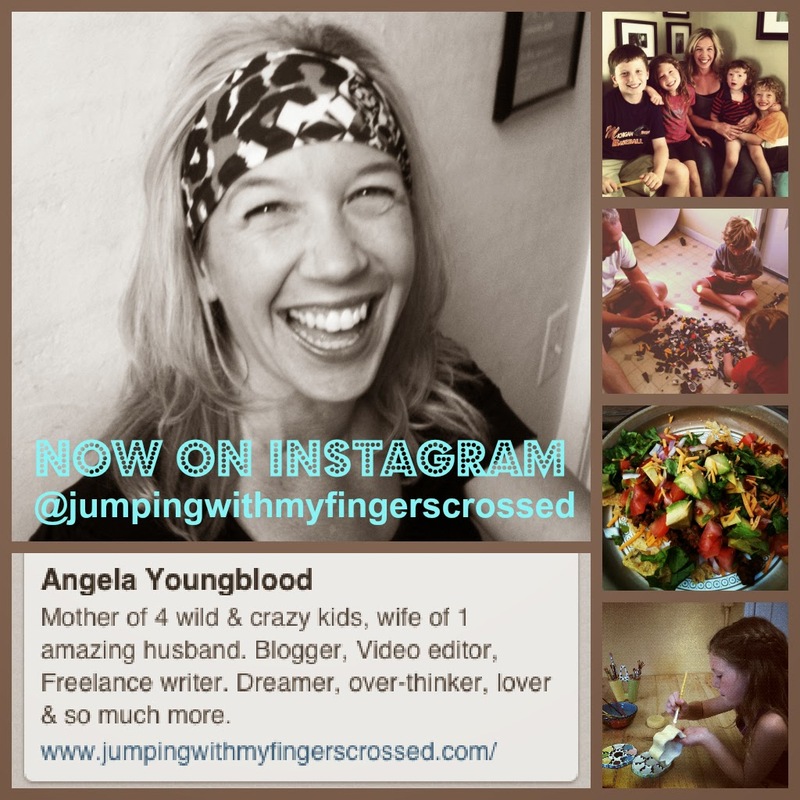 Love your blog site, lots of kids' lovely stuffs. I'm so with you. And also have at least two little magic-makers here, thank goodness....sometimes it rubs off on us, right? It has to. I like that: the magic of right now. Good thing to remember and be reminded of. I just love a child's perspective. My boys love boxes too. Who needs toys? I really think we are living the real life version of Frozen. It's the end of May and there is snow out my window. Right now is so simple, so fun, so positive. Everything we forget to be when we're adults. I love that kids can remind us of that.